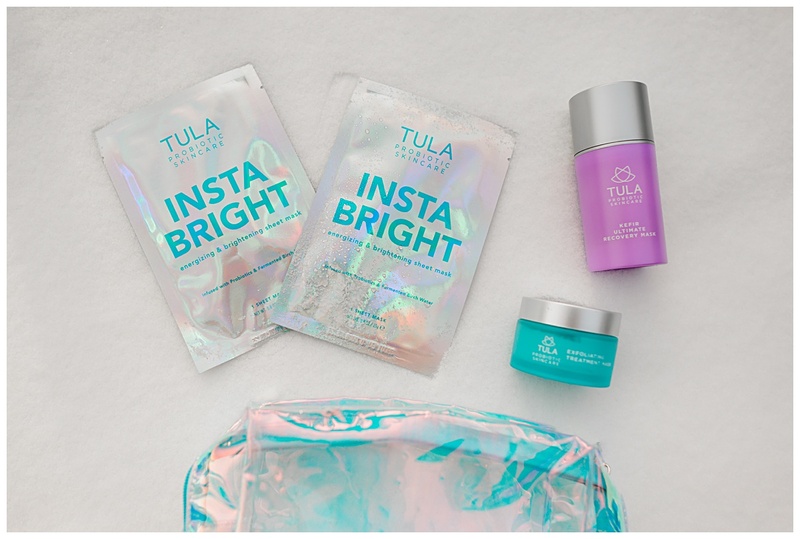 If you’ve followed me for a while, you already know I love Tula skin care products! I’ve been using Tula for two years now and I can honestly say it has changed my skin! I wrote a post a while back about my daily skin care routine (you can read the whole thing here). I haven’t written anything else about skin care since then because I’m still using and loving all the same products! You can read all about how I use these products here! Today, I wanted to let y’all know that Tula has some amazing Holiday Kits that are such a good deal! If you’re looking for a gift to give, these would be perfect for any girl in your life! They have lots of different price points, plus all the kits come in a really cute holiday cosmetic bag! Or, if you want to give yourself the gift of good skin this year, now’s the perfect time! Some of the kits come with smaller, travel size products which is perfect if you’re new to Tula and want to try out a few of the products before buying the full size bottles! 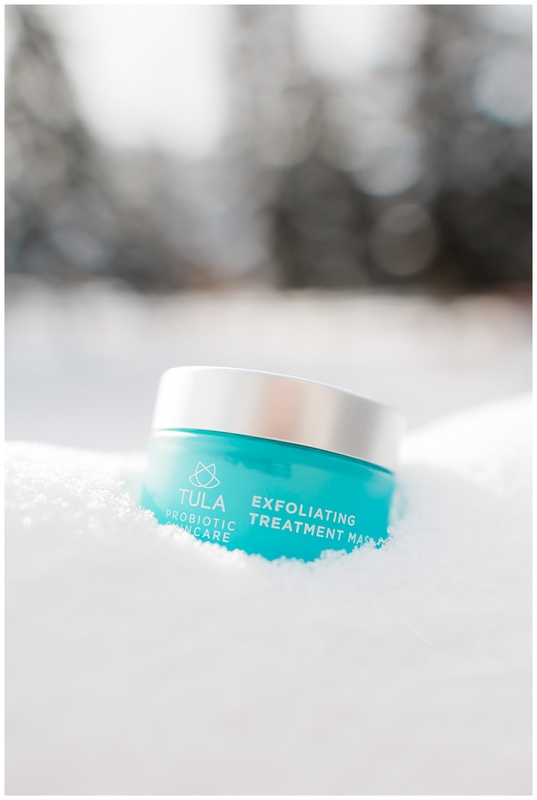 Or if you already know and love Tula, now’s a great time to stock up on products at a discount! My favorite holiday kit is the “Let it Glow Kit”! It comes with the Purifying Cleanser, The pH Resurfacing Gel, the Hydrating Day and Night cream, 2 Skin Reviving Treatment Pads and a Holiday Cosmetic Bag! If you were to buy those things separately it’d be $121, but in the Holiday Kit it’s only $72 (that’s a 40% savings!). Plus, you can take an additional 20% off with my code “SarahK” right now bringing it down to less than $58! 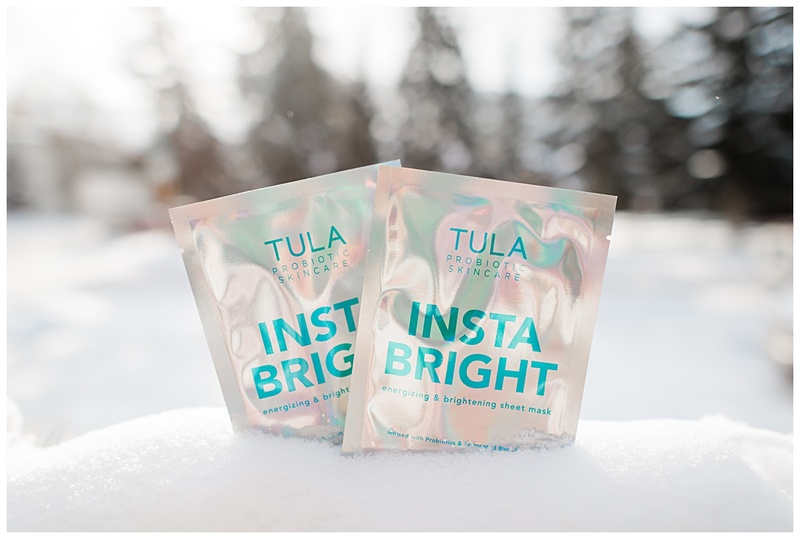 I know I’ve got a lot of my followers (including my Mom) hooked on Tula’s Hydrating Day and Night Cream. You can get a supersize jar of it in the Rockin Radiance Kit (along with a cleanser, Reviving Treatment Pads and the Cosmetic Bag too)! The Kit I photographed below was the “Mask to the Max Kit” which unfortunately is already sold out. But there are so many others that are still in stock so check them out here! Don’t forget to use my code SarahK to get 20% off your order from Tula anytime! A huge thank you to Tula for sponsoring today’s post. I’ve been wanting to try Tula for a while now and I saw your post and decided to try their products. I got their starter trial kit. Hopefully all goes well and I will be using your code for a refill purchase! Can’t wait to try it!